ThePhotograph | Annual Photography Awards 2019 competition is open to all Photographers: Amateur and Professional from all over the world. 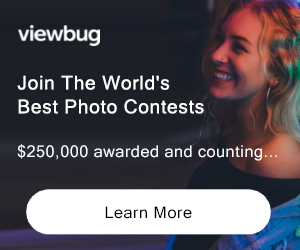 Anyone over 18 years of age can enter the competition with the exception of employees of the ThePhotograph, their associated companies and employees of any company chosen to sponsor prizes for the competition. 16 Golden Awards – The Photograph's Golden Awards will win 1st place winner of the each categories. 16 Silver Awards – The Photograph's Silver Awards will win 2nd place winner of the each categories. 16 Bronze Awards – The Photograph's Bronze Awards will win 3nd place winner of the each categories. 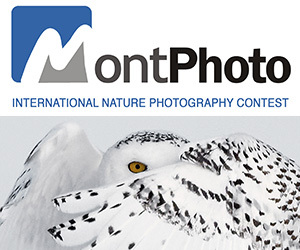 Honourable Mentions – The Photograph's Honourable Mention are awarded for the highest aggregate scores in a competition. Certificates - All Winners and Honorable Mentions from each categories will receive winners certificate. Not eligible to enter? - Find contest where you are. COPYRIGHT: Copyright of the images will remain at all times with the photographer. For awarded images, copyright holders grant the ThePhotograph unlimited non-exclusive use of high-resolution images for activities in all media, including social media, online and print, in relation to the contest and all promotional activities without any remuneration being due. USAGE RIGHTS: Images will be used strictly in connection to the awards and will not be used for any other marketing purposes other than to promote ThePhotograph. Images will not be resold or used for commercial purposes by any other third party.